Over the years, comic book mythology has grown and changed, particularly at DC Comics. In the 80s, DC decided to revamp its iconic heroes. As a result, the company created new origin tales for the World’s Finest: The Man of Steel by John Byrne and Batman: Year One by Frank Miller, both of which defined the two heroes for decades. The former has had countless origin stories over the years, so it’s a wonder why it took so long for Superman’s backstory and Frank Miller to come together. Miraculously, that is the subject of this week’s why I’m excited, as Superman: Year One is close upon us. When I first read this news a few weeks ago, I was dumbstruck. For the last decade, Superman: Secret Origin by Geoff Johns and Gary Frank has been the official origin for the Man of Steel, succeeding Mark Waid and Lenil Yu’s Superman: Birthright and Bryne’s The Man of Steel before that. There had been a general feeling amongst comic book fans and that there really wasn’t much more ground to cover with the iconic blue Boy Scout’s beginnings, whether it was in the comics or the films. While I agreed to a point (Kevin J. Anderson’s Last Days of Krypton and J. Michael Straczynski’s Superman: Earth One graphic novel series notwithstanding), I felt that The Man of Steel was a definitive origin story for the character, to the point that I didn’t really need to see the story told again in any medium for at least a good couple of decades. But ultimately, I’m a big fan of great stories told by great writers and artists, and the legendary Frank Miller fits that bill. After rising through the ranks of the comic book industry in the late 70s and early 80s, it was in 1986 that Frank Miller released what are arguably his two greatest comic book sagas, The Dark Knight Returns and Daredevil: Born Again. With the former, you had the story of an older, far darker Dark Knight which showed fans that comic books could be for adults and ultimately revitalized the character and transformed many people’s perceptions of him. This was, in part, what initially made fans so excited about Zack Snyder’s take on Batman, considering it had been widely stated that he was using Miller’s iconic take on Batman as inspiration for the divisive Batman v. Superman: Dawn of Justice. Harry Lennix, who plays General Swanwick in the film, even read a passage from The Dark Knight Returns as a way of announcing the film at Comic-Con a few years ago. Everybody was so excited; yet, like several Miller adaptions over the years, Batman v. Superman failed to connect with critics and fans in the way people had hoped it would. Despite this critical misfire, the team behind the DCAU came to the fans’ rescue once again with a two-part adaption of The Dark Knight Returns, with the gray Peter Weller (who appeared in both the original Robocop and the first Miller-penned sequel) in the titular role. While Miller’s tale of the Caped Crusader finally got its due on-screen, it would be a couple of years before Born Again received the same treatment. Born Again fared far better than his Batman opus, however. Like The Dark Knight Returns, this is a story people had wanted to see filmed for a long time. In the immediate aftermath of the 2003 film Daredevil, director Mark Steven Johnson hoped to adapt Born Again in a sequel. When the project failed to materialize, hopes were dashed for a live-action take on the iconic story. 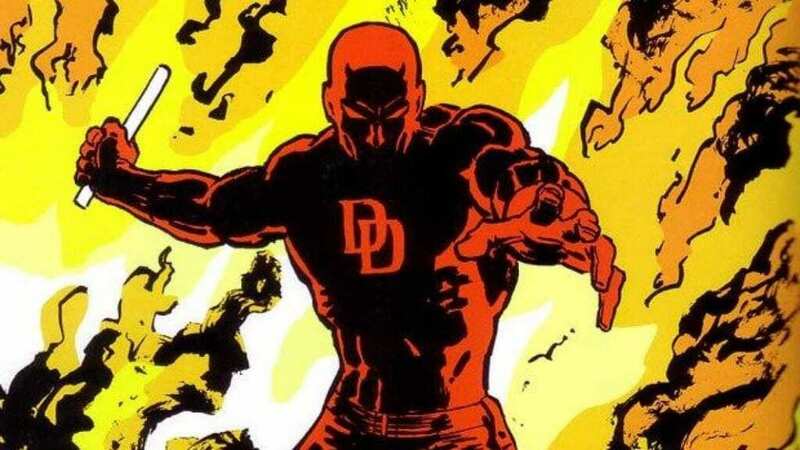 When the Daredevil TV series came about years later, there was a renewed sense of optimism that we would get a definitive take on the Man Without Fear, one that would hopefully lead to a Born Again adaptation down the road. That adaptation finally came, at least in part, with Daredevil season 3, along with an amalgamation of Kevin Smith’s Guardian Devil and Miller’s own The Man Without Fear. This was arguably the best season since the first, and a lot of that (aside from Arrow vet Erik Oleson’s show running duties) was due to the fantastic source material Miller’s work provided. However, Miller wasn’t done with DC and Marvel after Born Again, because in 1987, Miller delivered Batman: Year One, which many still call the greatest of the Batman origin tales. Miller has been focused on his own projects in recent years, most notably his iconic crime saga Sin City (for which he also has a Year One type origin story brewing via the Western genre). But in the last few years, he’s made his way back to Batman with a third installment of his Dark Knight Returns saga entitled The Master Race (following the second sequel, The Dark Knight Strikes Again from 2001). I wasn’t fond of his work on this one, and it seemed that it was being done for little more than a money grab. The first installment was possibly the apex of the comic book genre, so while it made sense to capitalize on this idea, it was ultimately a waste of narrative potential akin to the ill-advised venture that was Before Watchmen. When you are dealing with icons, it behooves all involved to go into a project with a vision that matches with their respective visionary, and you can’t get much better than Frank Miller. 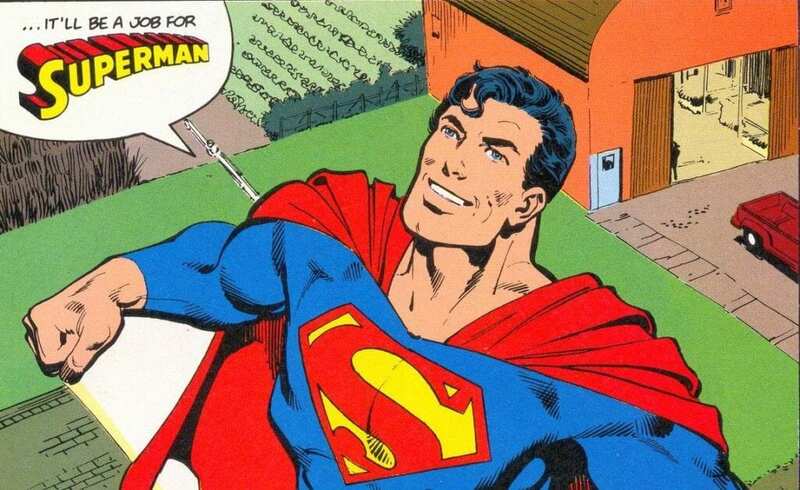 And that brings us to Superman: Year One. Much like his Batman origin story, someone else will be drawing the series. In the case of Batman: Year One it was David Mazzucchelli. With Superman: Year One, we’re lucky enough to have John Romita Jr. This is, in part, why I’m so excited to see this icon’s take on Superman’s origins. Whenever Miller teams up with someone, whether it’s Wolverine or Batman, comic book magic happens. With John Romita Jr. doing the art and Miller’s storytelling prowess, there is limitless potential for this series. Frank Miller and a Superman origin tale are a match made in heaven. From The Dark Knight Returns to Sin City and everything in between, Miller has proven himself a creative force few can match. Add the fact that DC is making this periodical-style three-issue series just tells me they are giving both Miller and his story the treatment they deserve. I can’t wait to read Superman: Year One when it comes out on June 19th.